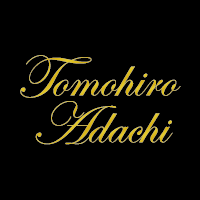 TOMOHIRO ADACHI is a pianist who is active internationally. He has instinctive musical sense and special poetic sentiment, is considered a interesting pianist since was young and he has always been evaluated. Also, he is recognized that is a specialist of performing Croatian-music in Japan. Present he is a served as a president of Japan Croatia Music Society of Tokyo. 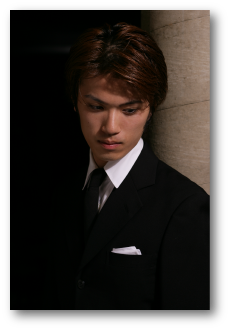 ADACHI moved to Croatia to improve his ability of piano from 2002 at the age of eighteen. In 2007, he graduated from the Academy of Music of the University of Zagreb. ADACHI has won a lot of prizes in international competitions including SEILER International Music Competition - 1st prize, Johannes Brahms International Music Competition - 2nd prize, Camillo Togni International Piano Competition - 3rd prize & special award, Anton Rubinstein International Piano Competition - 5th prize, Roma International Piano Competition - Diploma etc. He plays many tunes of Croatian composers especially Dora Pejačević, Božidar Kunc, Boris Papandopulo, Ivo Josipović and Frano Parać etc. ADACHI is always doing the first public performance of Japan of many Croatian tunes. including "A Game of Glass Beads" by Ivo Josipović, and almost tunes of piano solos and chamber music with piano of Dora Pejačević. In 2012 he did the first public performance of Japan "Piano Quintet" by D.Pejačević with Zagreb String Quartet in Tokyo. In 2015 he did the first public performance of Japan, Pejačević's "Concerto for Piano and Orchestra" and "Fantasy Concertante for Piano and Orchestra" with Maestro Mr.Hisayoshi Inoue & The Japan Sinfonia. Naturally Japanese media including TV/radio stations, magazines, newspapers are paying special attention to his activities. His playgrounds are not just Japan, but various places of Europe including Croatia, Australia and East Asia. Present he has about sixty concerts in one year as solo, chamber music, concerto with orchestra and song's accompaniment. Especially, he is always praised as a “first-rate pianist” by every media after his recitals in Germany. In Japan, he is drawing Japanese people’s attention as a “re-imported pianist from Croatia”. In 2013, ADACHI held a recital in Našice celebrating the 20th anniversary of the diplomatic relationship between Croatia and Japan, and commemorating the 90th anniversary of the death of Dora Pejačević. On 1 April 2014, he held a recital supported by Croatian media and made a successful in Sydney,Australia commemorating the 50th anniversary of the death date of Božidar Kunc. From 2014, he started a piano duo recital tour in Taiwan and Japan with a Taiwanese pianist. They performed works for two pianos of Matej Meštrović at the end of 2014 in Japan. ADACHI has released eight CD-s in Japan including Croatian composers, Chopin, Schumann and Liszt. Moreover, some Croatian tunes that ADACHI played are often used in Japanese TV and radio programs. Mr.Takeshi Kitano, a worldwide renowned Japanese film director, praised that Tomohiro ADACHI plays very sensitively. Mr.Charles Billich, a world famous painter, praised "He is a real creator with a natural talent of one person in one hundred million people". Dr.Drago Štambuk recognised ADACHI’s talent and Mr.Štambuk was kindly supporting all of his activities while he had been engaging in the Embassy of the Republic of Croatia in Japan as the Ambassador. And H.E. Mira Martinec, the former Ambassador of Croatia to Japan, was also deeply impressed with ADACHI's take on Croatian authors as a part of his repertoire. And she praised ADACHI with the words which says, “He surely must be considered as one of the greatest interpreters of classic and modern Croatian composers”. ADACHI founded "Japan Croatia Music Society of Tokyo". Now he has served as a president of this society, and calling on many top musicians from all Japan and abroad, producing many concerts and events for introducing Croatian tunes and culture in Japan.